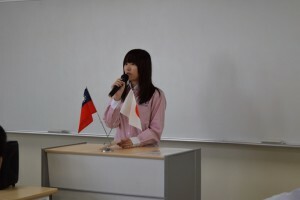 Twenty-eight Students of Taipei Municipal MingLun High School visited SU on April 27th. 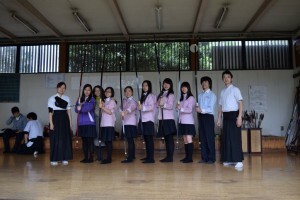 They spent fun time at SU while learning about Japanese campus life through an exchange meeting with Japanese students who have studied abroad, an English trial lesson at ERC and observation of 2 Clubs (Kyudo, or Japanese archery, and Karate). This event is aimed at promoting international exchange among young generations and fostering global human resources. The invitation of the group was arranged by Tourism Department of Saitama Prefectural Office.